HomeBlogHome DecorPer Finne Umami Santoku Knife. 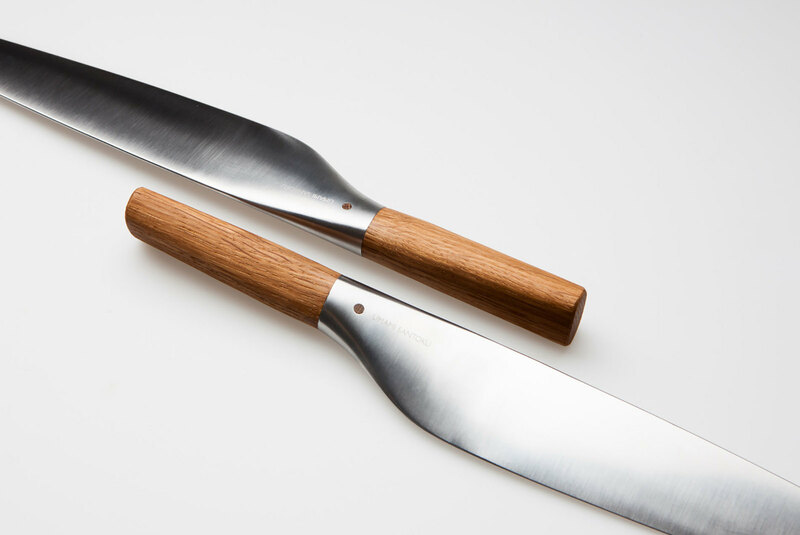 Norwegian designer Per Finne has created an innovative kitchen utensil. An elegant santoku knife that combines Japanese knife tradition with a contemporary Norwegian aesthetics. 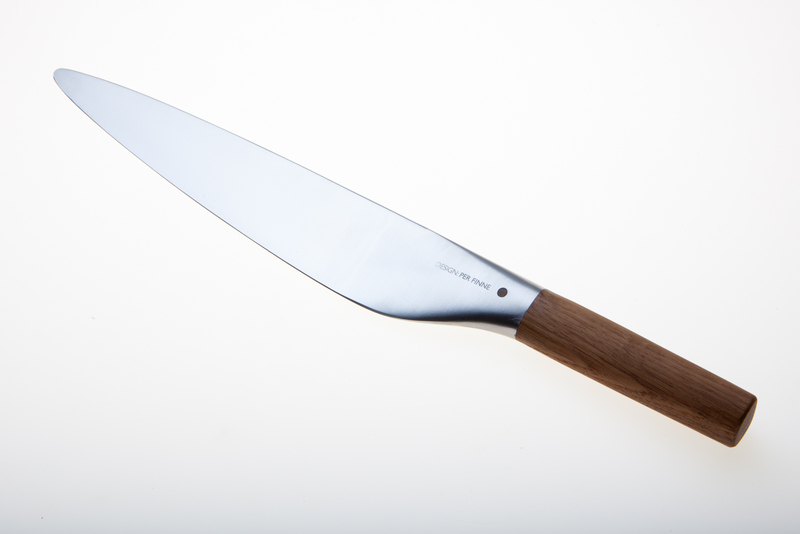 Per Finne’s Umami Santoku knife aims to combine the cutting prowess of a santoku knife with modern Scandinavian design. In addition, the aim of the project was to create a knife that is easy to use an effective, but flexible so that it can be used as a true multipurpose tool for all daily tasks in a home kitchen. On a santoku knife, the spine of the flat-edged blade that runs along the blunt side usually curves down towards the tip. The blade’s width and weight is matched to the handle, creating a balanced kitchen knife suitable for slicing, dicing and mincing. It differs from many Western-style knives as it is designed for cutting straight down, rather than using a rocking motion, and has a shorter, thinner blade. Per Finne’s design builds on that core principle of the santoku, but curves at the base to meet a rounded oak grip with a smooth seam. The Umami Santoku knife uses the same principle of balance as a typical santoku, but by having a smooth transition between the handle and the blade, it offers a big variety of gripping possibilities. This makes the knife both versatile and flexible in use. “I wanted to make a functional knife with a flexibility when it comes to different ways of gripping. Erasing the transition between the handle gives a wider range of gripping possibilities and the knife becomes an extension of the arm” says Per Finne. 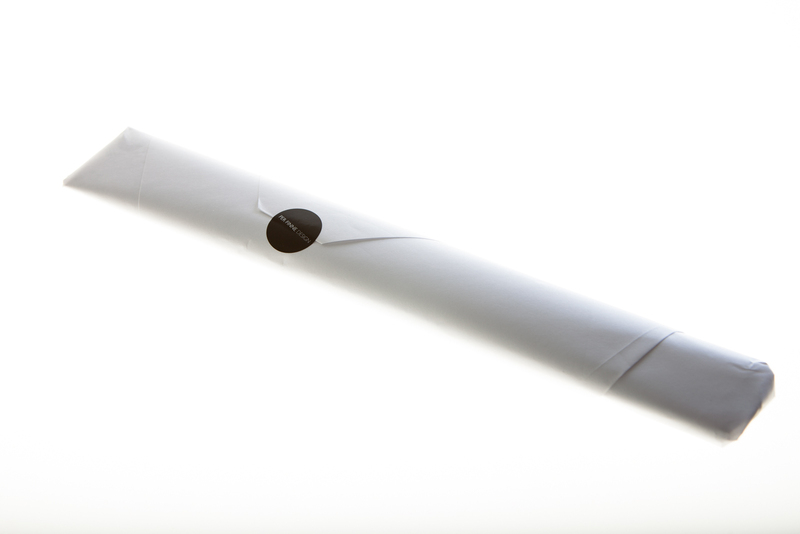 Furthermore, this modification steers the design closer to shapes and materials common in Norwegian design and defines the aesthetics of the object. In the words of the designer: “The oak handle was selected both to make a good contrast to the steel and because it gives a good tactile experience. Aesthetics is about sensing experience, and a product is just a tool to create and increase the experience. I am concerned with finding a good balance between form and function, and I regard tactile aesthetics just as high as the visual. 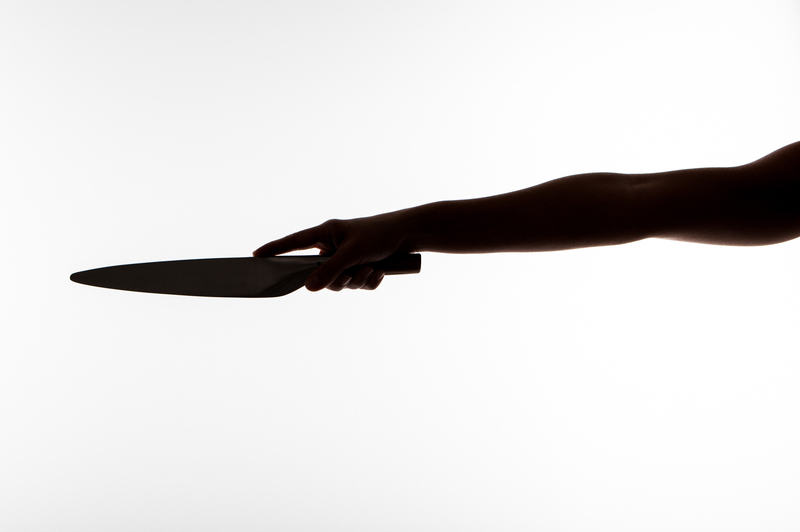 It is the feeling you get when the knife slices through a tomato without any resistance”. Per Finne chose molybdenum-vanadium steel for the blade due to its ability to stay sharp, as well as its hardness, flexibility and durability. The steel of the blade continues into the handle and is encased in the oak grip. 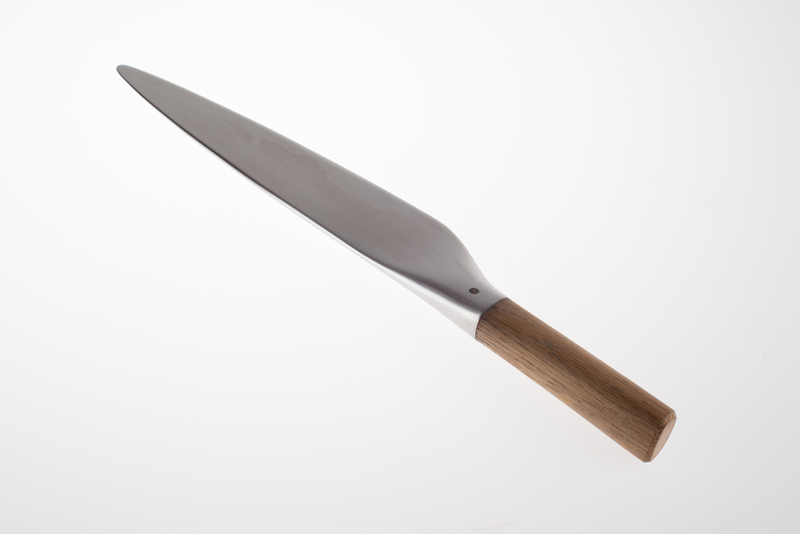 The two pieces of the knife are joined by a small wooden peg, which is a subtle reference to the “meguki”. The mekugi is an important part of Japanese swords, a single bamboo peg used to hold the handle in place and act as a locking mechanism. The name of the utensil is a combination of umami – a savory flavor often referred to as the “fifth taste” that is crucial in Japanese cooking – and the name of the traditional multipurpose Japanese knife, the santoku. 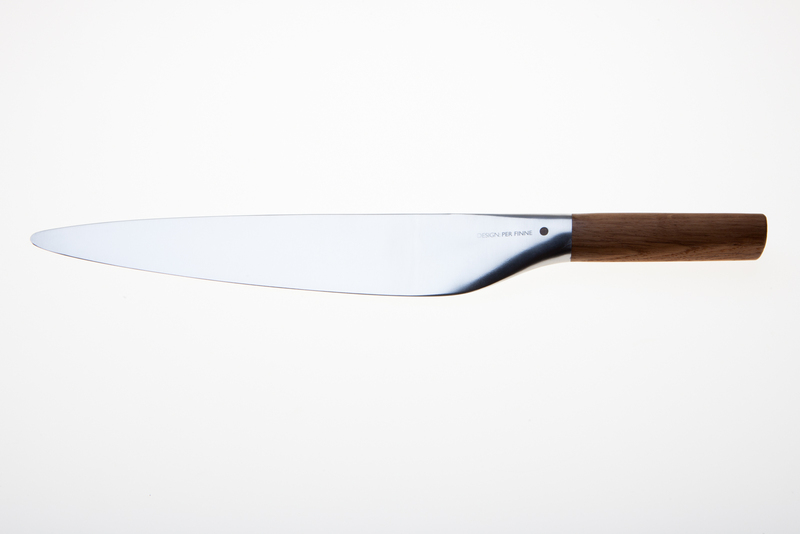 The designer has launched the Umami Santoku himself and it can be purchased directly through him. 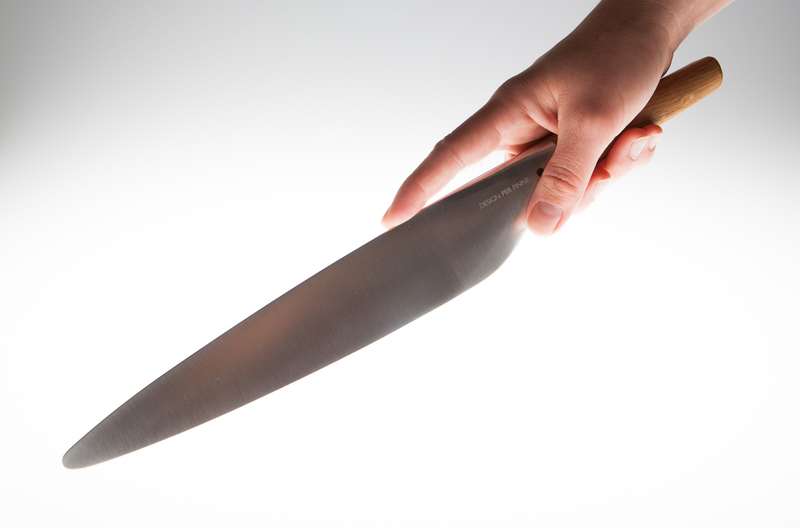 The knife is manufactured in Asia in a limited run of 500 pieces. Despite the fact that it was released just recently, the Umami Santoku has been awarded the German Design Award by the German Design Council and Design Excellence by the Norwegian Design Council.